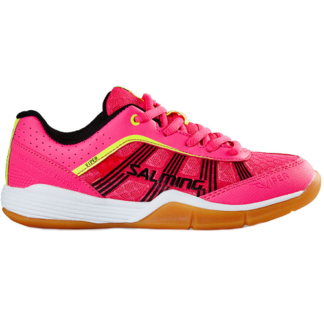 The Salming Viper 2.0 is a fast paced agile shoe with a low profile and excellent stability characteristics. 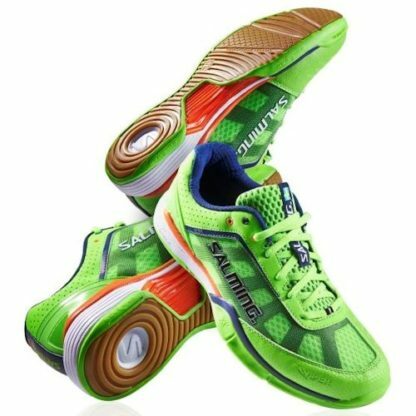 It incorporates the very best of Salming Indoor shoe technologies and then some. 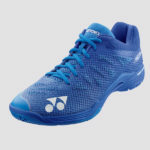 If you’re a fan of the Salming Race model you will find the Viper lower and with less cushioning in the fore-foot area, enabling a more close-to-the-court feel plus a lighter and more breathable upper. 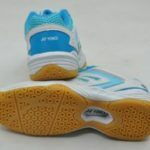 I was using the SHB 87 Badminton shoe which I really loved for squash. It was light but still had some structure to the shoe. Unfortunately they were hurting my feet so it was time to try something new. I did some research and found that a lot of people were happy with these shoes. I decided to buy them and give them a try. It took me about 40 minutes to get used to the shoe which I was happy about. They were very light which is always nice. I had enough stability in the shoe and it felt great. However I am very tough on shoes and they aren’t lasting me as much as I would have liked for the price. If you like a light shoe and you aren’t too tough on shoes then these are perfect. However if you go through shoes quickly I would not recommend these as you will burn a whole in them. The guy at Racket Network said I could use these outdoors even though they are an indoor shoe. 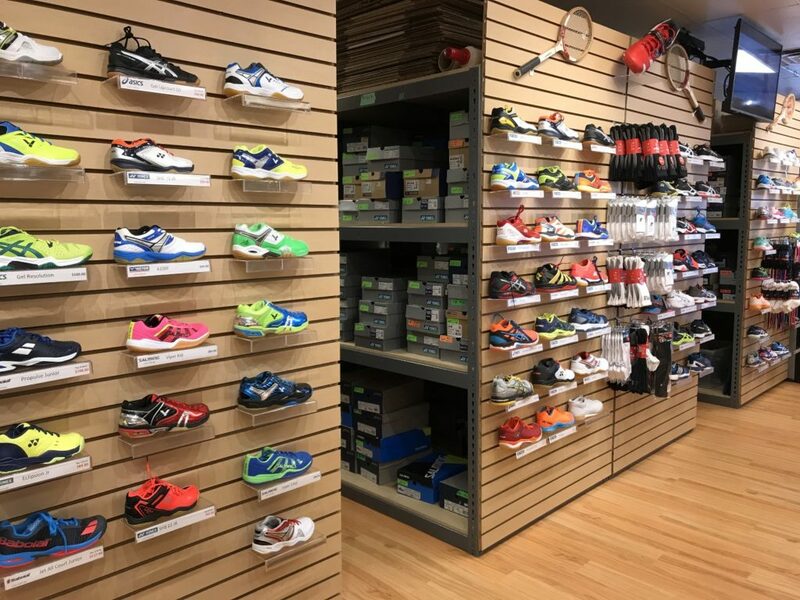 I get really soar feet, so he recommended that I stay away from outdoor tennis shoes because the bottoms are such hard rubber. These ones he said were softer and would be easier on my feet. He also warned me that they would not last as long because they were made of softer rubber. Based on his advice I decided to give them a try and tuned out to be very happy. My feet still get soar but nowhere nearly as soar as befor with my tennis shoes. So thanks to the staff. 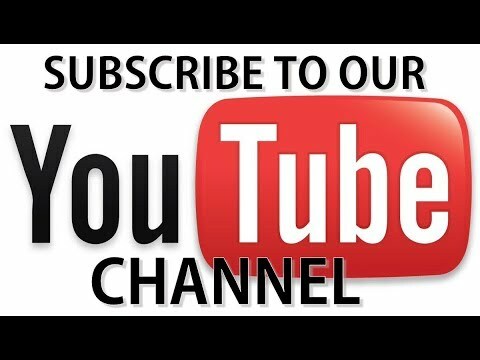 It was good advice and I will be back. 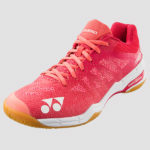 I have been playing in these shoes a month now and they are still great. No sign of wearing out. 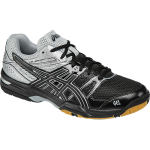 I bought these for pickleball. I was a bit alarmed at the price, but they have turned out to be excellent shoes. I play three times a week indoors. I have been wearing them for a year and half. They still look like new. I am satisfied. Thank you Brent for recommending these shoes. I will be back. PS: My wife bought a pair of Salmings too. I was sick to death of hot, heavy court shoes. My feet get really hot. They sweat a lot. So I wanted a court shoe that would breathe. 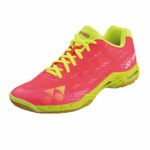 I also wanted a shoe that was light and fast. 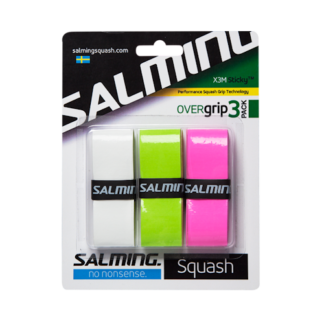 I had heard about these Salmings online so I went into Racquet Network to try them on. I fell in love immediately. I can feel the air move on my feet when I play now. After playing squash three times a week for four months a pretty high level, they are starting to wear a bit. But I’m still expecting to get a full season out of them. I am very happy with this purchase and will be buying another pair when I replace these at the start of next season.